The 4,200’ long, 10’ wide shared-use path along Old Orchard Road is now open! 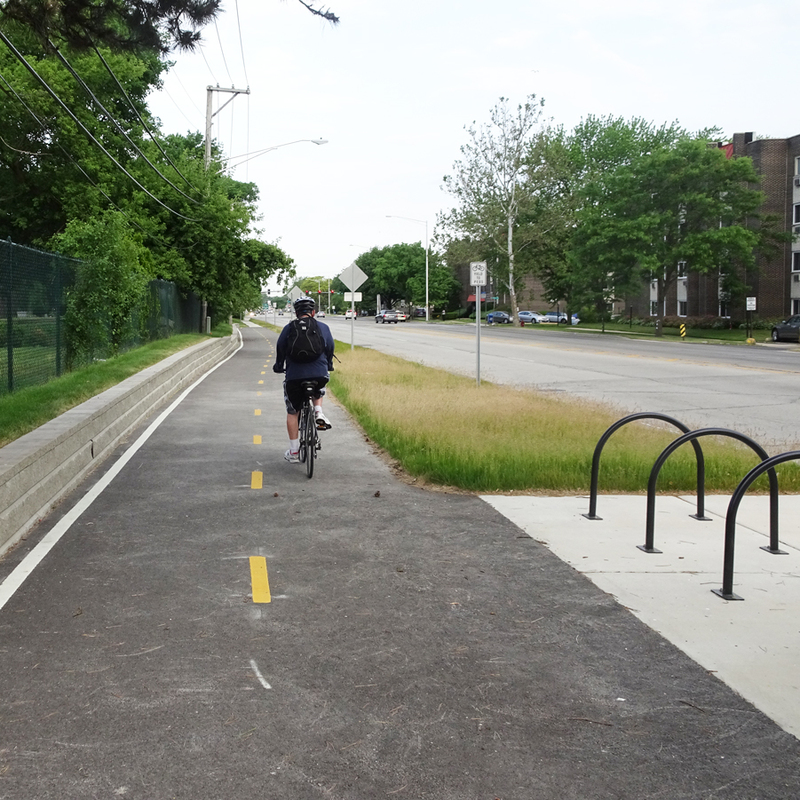 Construction is complete on the first section of the Village of Skokie’s new Old Orchard Corridor Trail, a critical connection for the adjacent communities and businesses – and a regular bike path for several CBBEL employees! The shared-use path stretches from Skokie Boulevard to Gross Point Road, and is the first of four sections of the trail that will ultimately connect the North Branch Trail in the Cook County Forest Preserve on the west and Gross Point Road on the east which ties via bike routes to the City of Evanston system. It will also intersect the Skokie Valley Regional Trail. The trail concept was initiated by former Skokie Director of Engineering Fred Schattner and is being completed by Erik Cook, the current Director. Many key stakeholders have been involved in this federally-funded process, including the Illinois Department of Transportation (IDOT), Cook County Department of Transportation and Highways (CCDOTH) and the Forest Preserve District of Cook County (FPDCC). CBBEL assisted the Village in securing funding and performed the Phase I, II and III Engineering and is providing similar services for Segment II, which stretches from Woods Drive to Harms Road/North Branch Trail, with an anticipated construction start date of summer 2017. Segment III – Woods Drive to east of I-94 – will be led by CCDOTH and IDOT and is expected to begin in 2018. Segment IV, in front of Old Orchard Mall, will be completed by the Village either concurrently or following Segment III.